COPS CALLED ON UNHINGED LEFTISTS at TRUMP CAMPAIGN STOP! 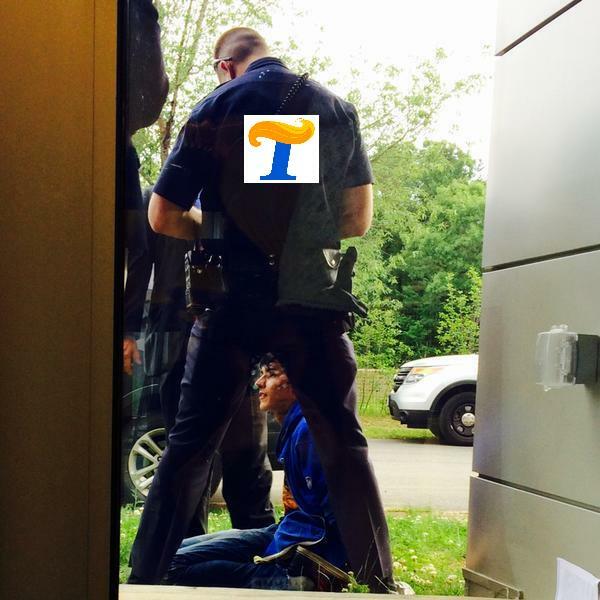 One leftist was arrested after disrupting the campaign stop. A fight broke out at the door. The man was “screaming expletives” before the event. A man was detained after being subdued by security during Donald Trump’s first visit to New Hampshire the day after announcing his presidential bid. Security guards at Manchester Community College tell necn the man was asked to leave the rally for using expletives. The man then allegedly became aggressive and started kicking security guards, and was escorted out of the building and held down by security until police arrived and arrested him. There’s no word from Manchester police. 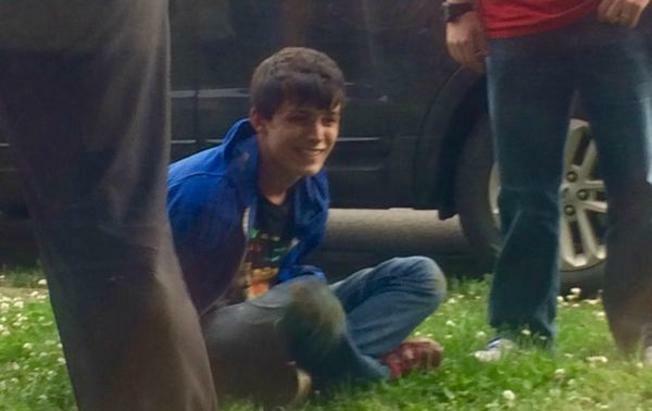 The kid was all smiles after his arrest.